Image credit: Lorikeet Bushy Tree Mandala (detail) by Emily Crockford, Studio A. Mural in Westpac Service Centre, Concord West, NSW. Photo: Jessica Leggett. Looking for advice on how to build skills and capacity across philanthropy, sponsorship and crowdfunding? 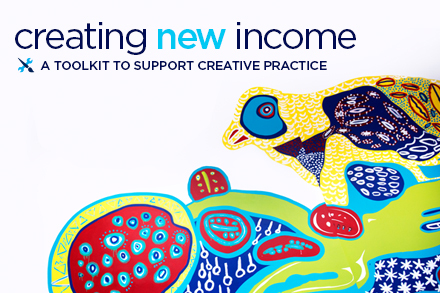 Create NSW has launched Creating New Income Toolkit, aimed at helping small to medium arts, screen and cultural organisations and individual practitioners to flourish. This Toolkit takes a “how to” approach and details the steps needed to grow and develop income streams from sources such as philanthropy, sponsorship, crowdfunding and new products. Individual guides and fact sheets contain links to related information throughout the Toolkit, including successful case studies from around NSW.